March 28: 5 POWER Lessons From 5 Leaders Who Made History On This DAY! We all want to be unique, for which, our thoughts too need to be unique. Among millions in the universe, very few stand out by take a step towards making themselves different. The 5 leaders born this day are among those few. Read on for some of the best lessons drawn from their lives! Our growth is founded by the learning attitude which we already have but at the same time, the statement that our victory is a consequence of a lot of people’s support, favor and encouragement, cannot be denied. This clearly indicates that the entire world abides by our stand and helps us walk our way to reach our destination. In this case, it is our responsibility to not just to improve our lives and focus on growing tall, but also to see how we can turn our work or profession into an aid that lights the lives of the many. 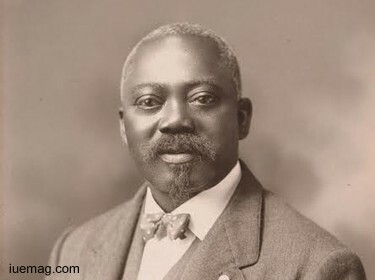 William Harvey Carney stands as an example for the entire world proving that every deed of ours can help the society rise. Owning the pride to be the first African American soldier to win the Medal of Honor, he delivered a selfless and dedicated service in the army to save the regimental colors during the Battle of Fort Wagner. Excellence, perfection and deep rooted aspiration were his keen followers which shaped his future actions and led him towards what he truly deserved. The overall ambition of everyone who dreams of achieving is to experience contentment. Born into slavery, he escaped from it and wanted to escape the whole world from it. This decision was one of the reasons for him to serve as a soldier and free the world from the evil of slavery. The level of comfort you are bound with may leave your urge and aims inactive. But when you think beyond all the worldly aspects of the universe and look into yourself for direction then the spirit to achieve and your dreams for life would be awakened. It is not only the making up of your mind that enables you to set yourself into action but, it is the guidance, realization and ability to understand things which help you become successful. More than achieving and succeeding, what you leave for the world after all your efforts in completing your journey matters the most. 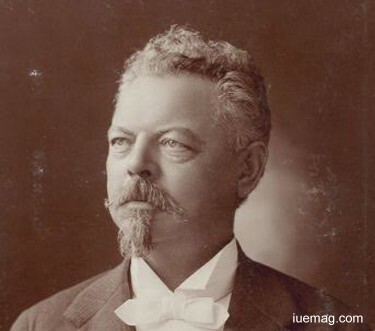 One of the very successful entrepreneurs, Frederick Pabst didn’t realize the way for his destiny until a storm shook his ship. It was this incident that got him close towards the line of creating his victory- swimming across the stream of business. Starting without even having a glimpse of what entrepreneurial world is all about he looked at it as a system which would provide him immense knowledge. He built new strategies for the development of his company, Pabst Brewing Company. The experienced and learned sailor learnt and invented innovative methods of trade which brought his company, an increased profit, fame, name and growth. His intense determination towards proficiency promoted him as a leader and an inspirational businessman. Achieving beyond the target and dreaming to become a talent like the role models we look up to is what is aspired by the millions of bloomers. The flower of success blossoms into a bouquet spreading the fragrance of motivation and optimism; it happens for sure, but demands at most dedication, concentration and patience for the journey towards success to complete. Every goal has a reason and every achievement has a story. This formula was the one which helped Thomas Clarkson, an English abolitionist to profoundly mold and shape his life- an ultimate weapon which prettified others’ as well. 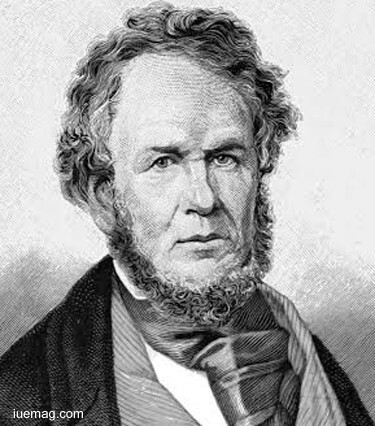 The first effective publicist of the abolitionist movement, he was a leading figure who campaigned against slavery. Silence, most of the time manifests the acceptance of the reality. He made an attempt to interpret this silence and turn it into a wave to heal the misery of slavery. After winning a Latin essay competition on the topic-slavery, he was left with a greatly significant impact on his mind and hence the same founded this step towards the abolition of slavery. Your desire for greater success could be accomplished by walking in the line of ways which builds your personality. The spiritual sense in him drove a passion for the abolition of slavery which further helped him gift goodness to the society. 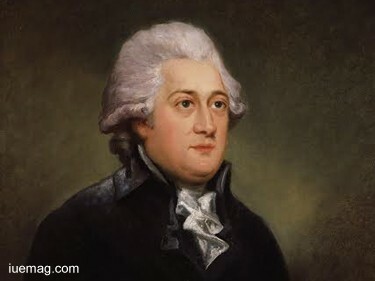 Hence, he founded The Society for Effecting the Abolition of the Slave Trade. The importance you give to your choice lets you truly earn your desired position in the society and qualify your inborn characteristics to pave a way to the treasure bearing success. Starting his early studies of Native American cultures, he became the first to gather data on Indian tribes to build higher dreams. He was the first to publish that magazine. Although he worked in glass making firm, his fondness made him leave this job at the age of 25 to explore the western frontier. There have been so many inventions, discoveries and explorations happening around. How will they all take their form? The answer is to consciously work out on all the minuses to convert them into pluses. On the bottom line, every doer wants to achieve perfection. Constant and consistent practice is what acts as an ingredient to score the same. Every time you attempt, ensure it is an improvised one. Practicing the right in the right way takes you towards perfection. However, don’t forget that proficiency is the key to unlock professionalism. Corneille Heymans learnt immensely from every attempt he raised and noted a progressive growth as the end result of every practice, to become what he wanted to. A full-fledged educational training in a systematic manner developed the sense of intellectuality in him. Obtaining his doctor's degree, he broadened his ideologies and started exploring more to gain knowledge. The professor of Pharmacology never stopped after procuring knowledge. He practiced every lesson and made it a habit to note down every step up his progressive ladder; he was appointed as the Head of the Department of Pharmacology, Pharmacodynamics, and Toxicology. 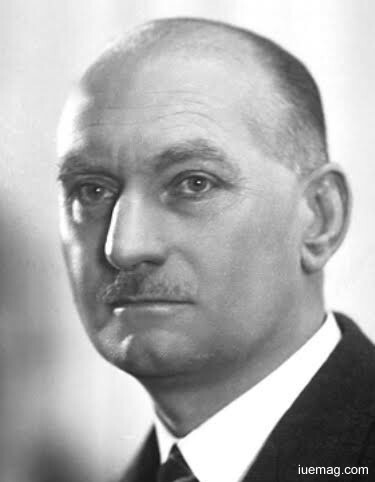 Heymans was awarded the Nobel Prize for Physiology or Medicine for demonstrating how blood pressure and the oxygen content of the blood are measured by the body and transmitted to the brain. Only you can understand your channel that takes you towards your destination. Achievers around you and the inspiration you get from them can only act as a catalyst which speeds up your journey but it is you who is supposed to make it happen! Any facts, figures or references stated here are made by the author & don't reflect the endorsement of iU at all times unless otherwise drafted by official staff at iU. This article was first published here on 28th March 2017.